DES MOINES, IOWA – Thursday, April 11, 2019 – More Des Moines residents than ever before are taking advantage of the City’s Tiny Trees program, breaking the record for the number of trees ordered in a year. More than 7,000 trees have been ordered so far this season, surpassing last year’s record of 6,654 trees ordered. 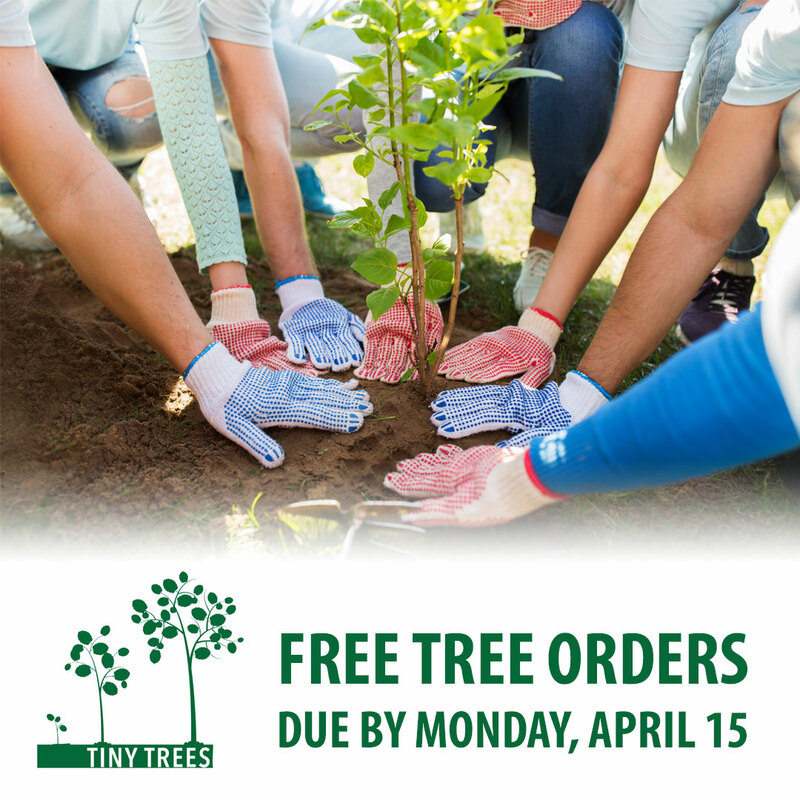 Residents have until Monday, April 15 to order up to five free trees to plant on their property to help increase Des Moines’ urban tree canopy. Orders are accepted on the City's website and by phone at (515) 283-4950. The annual Tiny Trees program launched in 2016 to encourage property owners to plant new trees to help them reduce stormwater runoff, save on heating and cooling costs, provide habitat for wildlife and invest in improving their neighborhood. Eight species are available to order this year, each ranging from 16-24 inches tall. Orders will be available for pickup on Saturday, April 27 (Arbor Day Weekend) from 8 a.m. to noon at Polk County River Place (2309 Euclid Avenue). Volunteers interested in helping with the process of preparing orders on Thursday, April 25 or distributing orders on Saturday, April 27 are encouraged to visit the City's website for details.